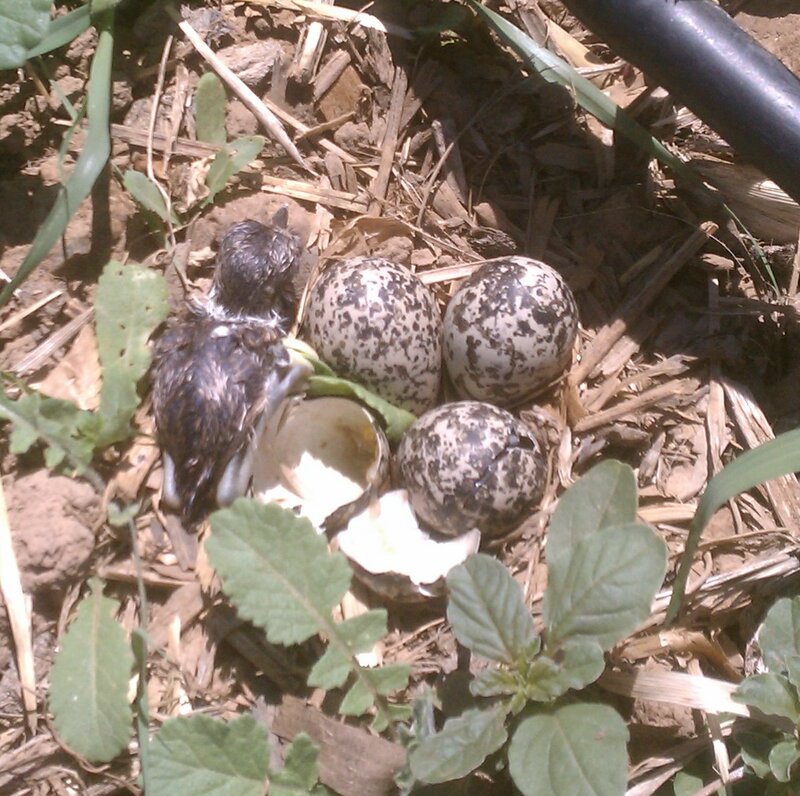 A killdeer nest in the melon patch yielded one live chick a few hours ago, and the sibling in the nearer egg seems to be well along in the process. Mom and Dad were sometimes nonchalant about the proximity of humans, often did the broken wing/diversion display, and occasionally would haze a worker and let loose with a piercing alarm call. Killdeer are precocious; this guy and sibling(s) will very soon be scampering about.